The Mall, the main bus and taxi stands, the local market, banks and entertainment centers are all within walking distance from the hotel. 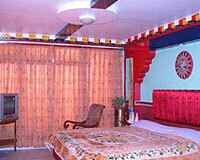 Hotel Seven Seventeen is a popular hotel in Darjeeling. It is conveniently situated in the heart of the town within walking distance from the Mall, bus stand, and the main shopping and entertainment area of the town. 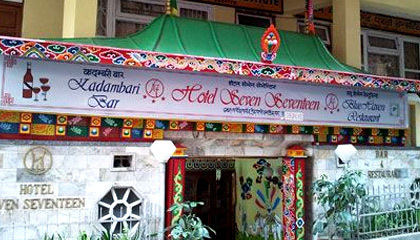 Hotel Seven Seventeen is a fine place for business related travel, leisure holiday and honeymoon in the famous hill station of Darjeeling. Efficiently equipped with modern facilities and warm hospitable services Hotel Seven Seventeen is the most convenient place to savor Darjeeling. Hotel Seven Seventeen offers 43 well-appointed rooms. Some of the modern in-room amenities are wall-to-wall carpeting color television with satellite channels, running hot and cold water, telephone and 24 hours swift room service. Blue Haven Restaurant: A multi-cuisine restaurant serving the best of Indian, Tibetan, Chinese and Continental cuisines.